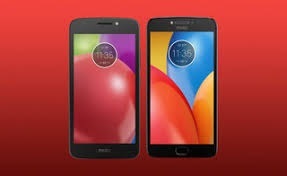 Moto and Lenovo are ready to launch Moto E4 Plus in India on july 12 and they are launching phone with latest android version 7.0.1 and the expected price of Moto E4 plus smartphone would be Rs 8999/-,already Moto E4 and Moto E4 Plus both are launched in other countries in June, and are prices at $129.99 (roughly Rs. 8,300) and $179.99 (roughly Rs. 11,600) respectively.The very good thing about Moto E4 Plus is Battery because it comes with 50000 mah capacity. Moto E4 Plus has very wide dispaly which was 5.5-inch HD IPS display with 2.5D curved glass protection and processor is Qualcomm’s Snapdragon 427 quad-core SoC clocked at 1.3GHz ,moto E4 plus paired 2Gb and 3Gb RAM,16GB and 32Gb internal,and microSD card slot expandable up to 128GB it will support.cameras are 5mp front camera for selfie and vedio calling with auto focus and back camera was 13mp with flash light,most attractive feature is battery 5000mah.dimensions of moto e4 plus is 155x77.5x9.55mm, and the smartphone weighs 181 grams and colurs are grey fine gold. 5-megapixel front-facing camera and an 8-megapxiel rear shooter.